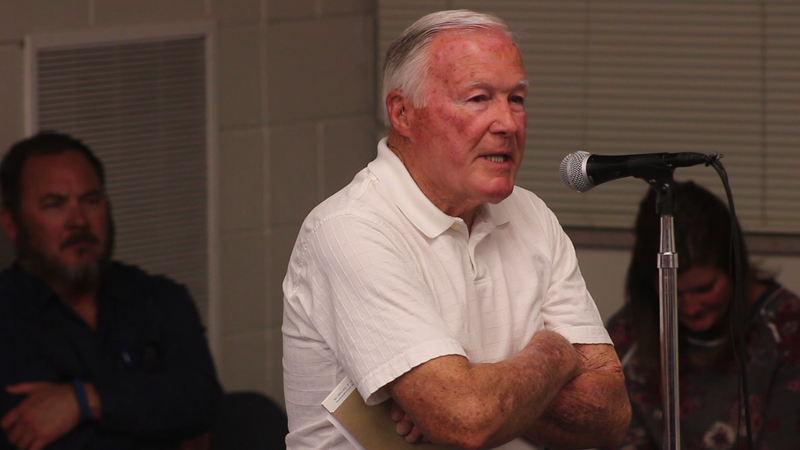 ST. GEORGE – Arguments for and against the Lake Powell Pipeline were had at Dixie High School during a public comment meeting Thursday night held by the Governor’s Office of Management and Budget. 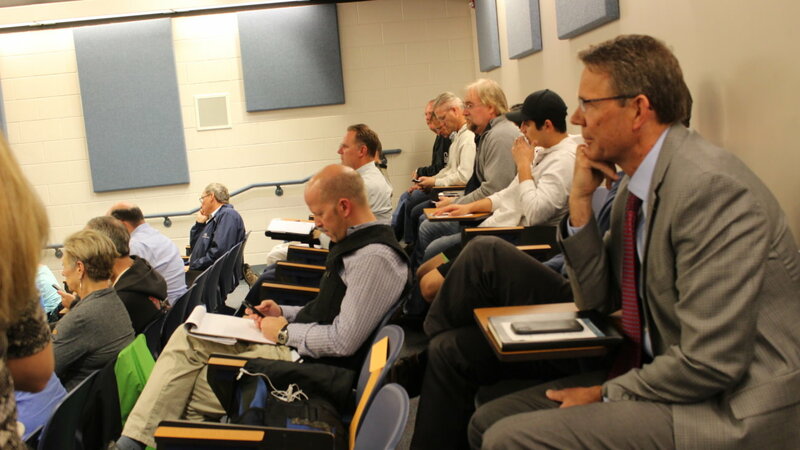 The primary purpose of the meeting was discuss the pipelines fiscal and economic impacts on the state and local level, said Phil Dean, state budget director and chief economist in the governor’s office, as well as the chairman of the Executive Water Finance Board. 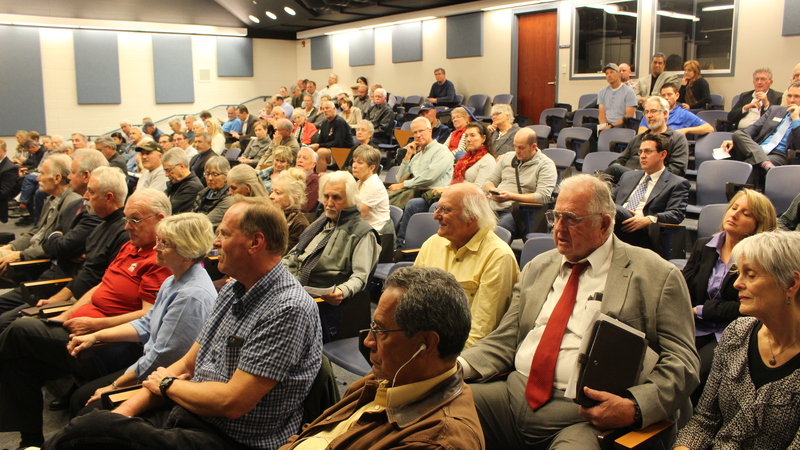 Members of the board, along with about 160 people as an overview of the Lake Powell Pipeline project was given, following by nearly two hours of public comment. Part of determining what the overall picture may look like is knowing what the actual cost of the pipeline will be. Preliminary cost estimates place the 140-mile Lake Powell Pipeline at between $1.2 billion and $1.8 billion. 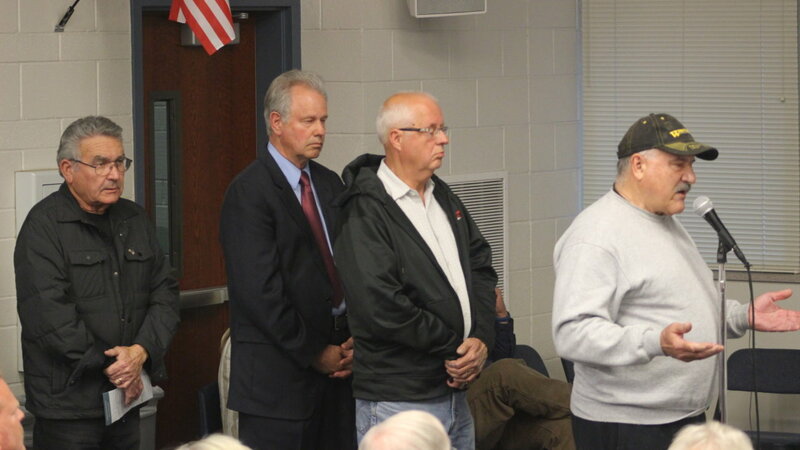 Opponents of the project said they believed the true cost of the project was much higher and could prove a crippling burden for Washington County residents. The state must provide financing for the pipeline subject to cost, Dean said. However, paying back that financing, with interest, will be the water users. Ways currently proposed to help pay for the pipeline include increases to county water rates, impact fees and property taxes. Economists from four major Utah universities released a study claiming water rates could jump well over 500 percent and impact fees would go over 130 percent. Property tax rates would also see significant hikes. 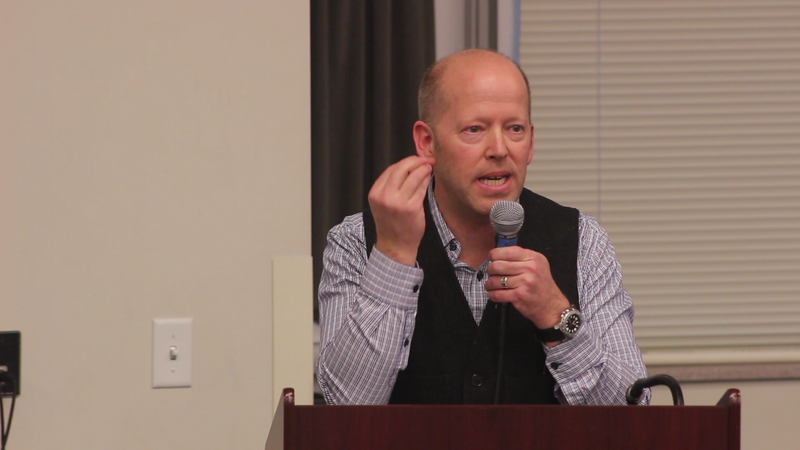 The study was mentioned by a handful of commenters, including Zach Frankel, director of the Utah River Council who drew a shout of “Turn off his microphone!” from the crowd as he spoke against the pipeline. A woman who said she lives on a fixed income became emotional over potentially not being able to afford increases. “I’m really sure I’m going to lose my home,” she said. Gov. Gary Herbert has asked the Executive Water Finance Board to get an independent cost estimate for the pipeline, Dean said. In addition to reviewing financial issues, the board will also look at current water use within the county to make sure it is as efficient as possible before the state commits any money to the project. Supporting the pipeline were several elected officials and local developers, including St. George Mayor Jon Pike, Washington County Commissioner Dean Cox and Mari Krashoweze, executive officer of the Southern Utah Home Builders Association. Cox brought up how the building of the Quail Creek reservoir in the 1980s helped pave the way for future growth in Washington County. Before it was built, people argued the reservoir wasn’t needed. Voters ultimately approved a bond funding its creation. Pike and Cox said the Lake Powell Pipeline will be needed to help support the county’s projected growth. The current population of over 160,000 is projected to grow to around 500,000 by 2060, according to the a report from University of Utah’s Kem C. Gardner Institute. Some commenters suggested slowing the growth and possibly limiting building permits. Even if new move-ins were somehow stopped, Krashowetz said, growth would still happen internally due to childbirth. “We’re still going to continue to grow,” she said. 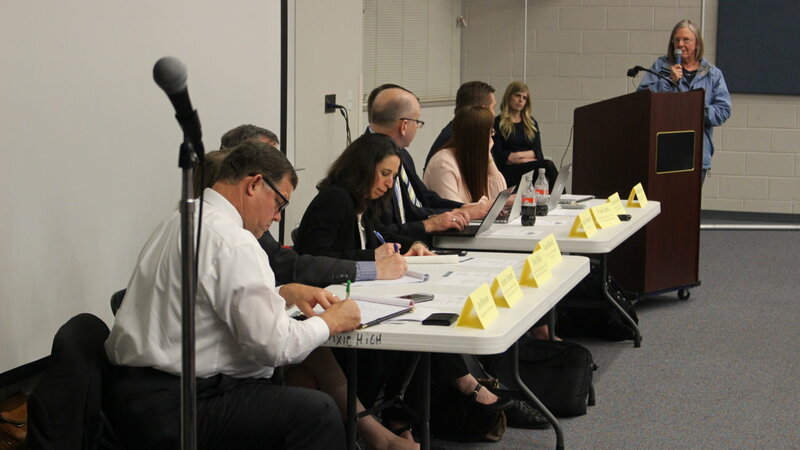 In addition to supporting a growing population, the water the pipeline would help keep the regional economically plugging along, Pike and others said. As the regional economy keeps growing, it will help bring in new businesses and better paying jobs that will allow the children of county residents to stay here instead of look for work elsewhere, they said. The pipeline would also diversify Washington County’s water sources, said John Fredell, the Lake Powell Pipeline project manager. Right now the county’s only source of water is the Virgin River Basin. Bringing additional water from Lake Powell will help take pressure off the river, Fredell said. Though the pipeline will be of great benefit to the county, Pike said, he added water conservation still needs to be a bigger issue than it has in the past. The project itself would consist of 140 miles of buried pipeline from Lake Powell to Sand Hallow reservoir and supply water to 13 communities in Washington and Kane counties. Over 86,249 acre-feet, or 77 million gallons of water daily, will be taken from Lake Powell and moved through six pump stations and six hydropower stations along the pipeline’s route. The board’s review of the financial aspects of the project is just one of many processes in play related to the pipeline’s ultimate fate. Negotiations are taking place between Utah and the federal government for rights to use Lake Powell as a point the pipeline is able to draw water from. A request for an environmental study for the project has also been approved by the Federal Energy Regulatory Commission, though is on hold pending determination of which federal agency has jurisdiction over parts of the project. Construction on the pipeline could begin in the early 2020s, Ron Thompson, general manager of the Washington County Water Conservancy District, previously told St. George News. We’re going to need clean water when they pollute the Paria, Virgin and Colorado Rivers with the drilling for gas and oil and coal. “will be taken from Lake Powell and moved through six pump stations and six hydropower stations along the pipeline’s route.” Are those more coal-powered hydropower stations? “The state must provide financing for the pipeline subject to cost, Dean said. However, paying back that financing, with interest, will be the water users. Ways currently proposed to help pay for the pipeline include increases to county water rates, impact fees and property taxes.”……so if they build it “they” will come?….got news for you folks already living here, if they build it, then “they” must come…otherwise you, the water user, will be on the hook for the $1.2 – $1.8 Billion + interest via your property tax every year and water bill each and every month….better wake the hell up people, only 160 people out of the Washington county population of 138,000 cared to show up?……. Well then, enjoy your future! It’ll end up being at least twice the predicted cost, and years behind predicted completion. There will be many factors that come up during construction that they failed to account for. That’s how these type of things go. According to the newspaper today $30 million has been spent just studying this…seriously…give us a breakdown of WHO got what and how much. And $$$ came from who, taxpayers? pissed off tax payers. All you need to know is that the money “stays among friends”.